President Maithripala Sirisena now has another serious problem to contend with as the UNP is all out to oust the SLFP ministers who voted for the no-faith motion against Prime Minister Ranil Wickremesinghe last week. UNP Deputy General Secretary Akila Viraj Kariyawasam, yesterday, said all those who had voted against UNP leader and PM Ranil Wickremesinghe, on April 4, would cease to be ministers when the next Cabinet reshuffle takes place before the Sinhala and Tamil New Year. Addressing the media, at his Colombo 7 official residence, Kariyawasam said that the UNP would ensure that the 16 SLFPers (Ministers, State Ministers, Deputy Ministers and MP) would not hold ministerial portfolios after the reshuffle. The following UPFA MPs, representing the SLFP, voted in favour of the motion: Susil Premajayantha, Dayasiri Jayasekara, Dilan Perera, John Seneviratne, Lakshman Wasantha Perera, Dr Sudarshani Fernandopulle, Tharanath Basnayake, Susantha Punchinilame, Anura Yapa, S B Dissanayake, Lakshman Yapa Abeywardena, Chandima Weerakkody, Anuradha Jayaratne, T. B. Ekanayake and Sumedha Jayasena. Kariyawasam called the media briefing following a request the SLFP ministers who voted against the PM made to the President that they be relieved of ministerial positions. 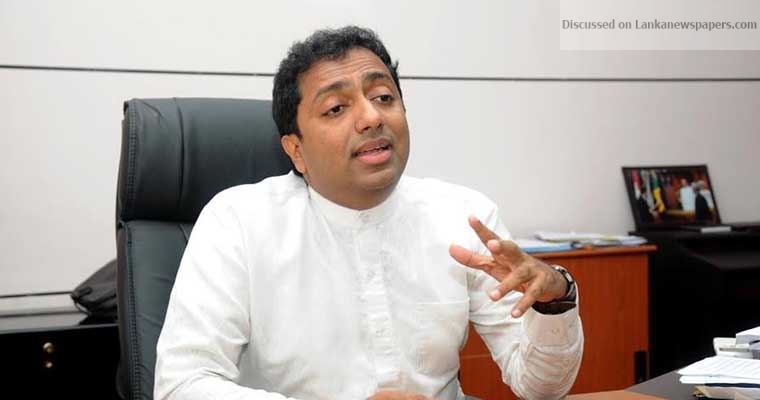 Education Minister Akila Viraj Kariyawasam said that the President and the Prime Minister had agreed to a cabinet reshuffle before the Sinhala and Tamil New Year. Minister Kariyawasam said the UNP had unanimously decided to call for the removal of the SLFP Ministers who sought to oust the PM and the matter would be discussed at the SLFP Central Committee Meeting today (09),Kariyawasam stressed that there was a serious issue regarding those SLFP members and they had no moral right to stay in the government, the minister said.